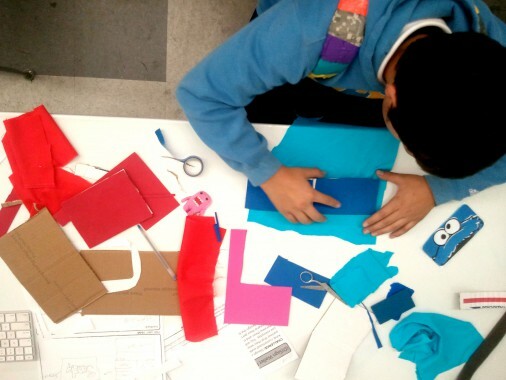 D3 builds creative confidence and critical thinking in young people by teaching them how to think like designers. The D3 process (Dream it, Design it, Do it) is a simple toolset that incorporates a variety of approaches to 21st century learning and instruction. D3 also incorporates many of the same design thinking principles that are used in the creative professional world today. D3 programs and projects challenge young people to take their ideas seriously as they become problem solvers, innovators, risk-takers, and creators while developing projects that are meaningful to them. D3 started as a collaboration between the New Learning Institute, the Pearson Foundation, and COMMONstudio. The local success of our pilot programs in a variety of urban schools and non-profits inspired us to create a suite of toolkits to help others learn from our successes (and failures) to bring D3 into their classrooms without the need for one-on-one facilitation and training. The insights, tools and strategies offered in the D3 toolkits have been developed with feedback from, and in collaboration with educators, and tested in real-world classroom settings.